The K200 at work for Sims Metal Management. James Aquilina opted for a purpose-built K200 to meet his needs. When he couldn't get a T409 made to order, James Aquilina decided a custom K200 8x4 was the way to go. 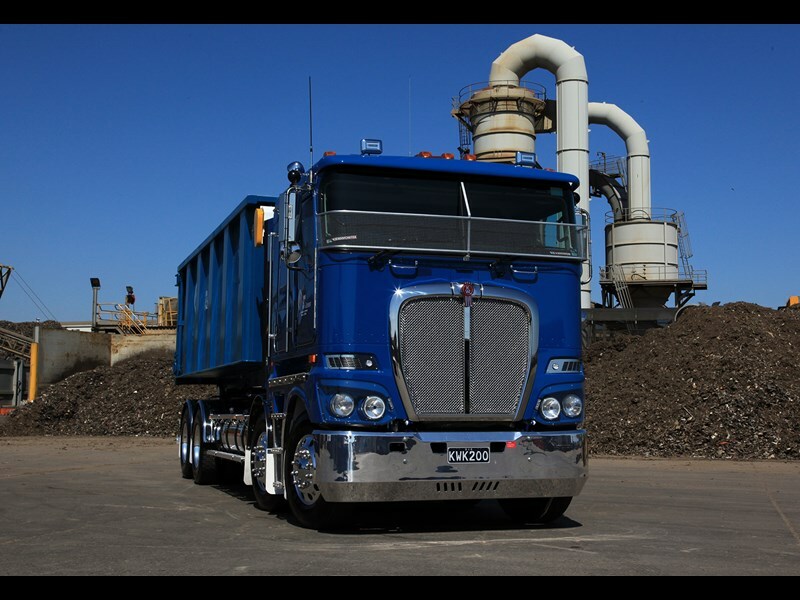 It’s hard to miss James Aquilina’s blue Kenworth K200 8x4. It’s not only purpose-built but an eye-catching rig as well. James, who hauls scrap metal as a sub-contractor to Sims Metal Management, was in the market for a new cab-over, so he went for a Kenworth. 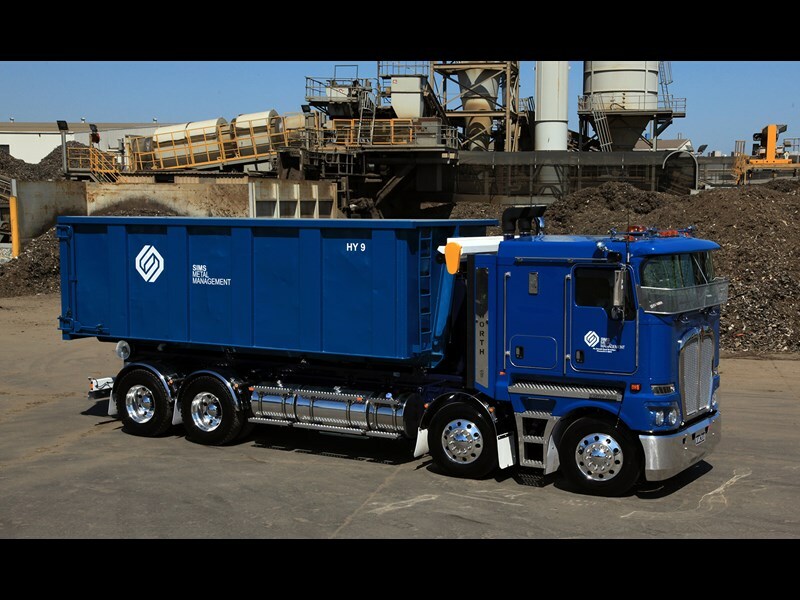 Initially, he spotted a T659 8x4 at last year’s Melbourne Truck Show and made a few inquiries to Kenworth salesman Steve Connally. "I was told it was going to NZ [New Zealand], so I went to the Steve and told him that I wanted a T409 with a 21 IT sleeper with 550hp [410kW]. I thought I had found my new truck," James says. However, a chat with Kenworth’s engineering department revealed that the T409 would be too long. "I went back to Steve and asked him what my options were. 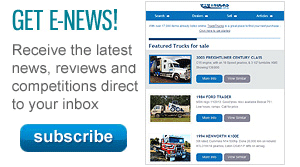 It was either lose the sleeper or change to a K200," James says. "I was told that the Kenworth cab-overs had changed a bit from what I remembered, so I went for a drive and was quite impressed." Kenworth built James’ custom K200 truck in seven weeks. James opted for a sleeper cab on the K200 due to the large amount of country work he does. He also had the Kenworth specced with an 18-speed, double overdrive gearbox with 4.11 ratio, which keeps the engine speed down while returning good fuel consumption figures. "I go as far west as Terang, Ballarat, Nhill and a couple of jobs in Horsham that I do, so I get around," he says. James says he would have loved to add some bling to the K200, but he adds that it was bought to work. When it gets down to the job, shiny bits don’t count. But he remains proud of his fleet. "Each truck is washed every week and we look after them," James says. 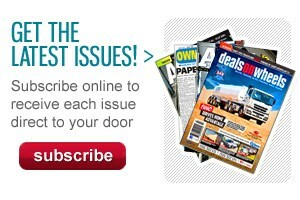 You can read James Aquilina’s full story in the June edition of Owner//Driver magazine.